It’s an exciting week for LEGO lovers! There will be TWO free LEGO mini builds to take the kids to this week. 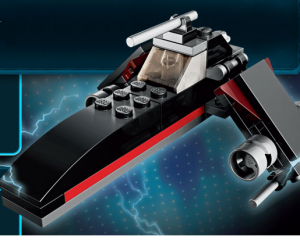 Stop by Toys R Us on Saturday, May 4, 2013, between noon and 2 p.m. for a LEGO Star Wars mini build. Your child can build an exclusive mini-version of Jek-14’s Stealth Starfighter from The Yoda Chronicles show on Cartoon Network. This event is part of a May the Fourth Be With You celebration. Find your local Toys R US to get in on the fun, and get there early because supplies are limited. Then be sure to visit bring the kids to your local LEGO Store on Tuesday for another free Lego mini build. 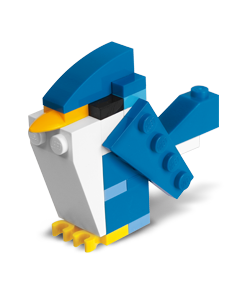 Kids can build an awesome LEGO blue bird for FREE at the LEGO Store at at 5 p.m. on Tuesday, May 7, 2013. LEGO offers a free LEGO mini build on the first Tuesday of every month. Kids ages 6 to 14 will get a free mini kit to build and instructions. There is a limit of one kit per child. Supplies are limited, so be sure to get there early. Find your local LEGO store, then click on “News & Events” to confirm when your store is participating, as some stores offer the once-a-month project on a different day. If you don’t have a LEGO store near you, or you can’t make the monthly mini-build at the LEGO store, you can download the month’s LEGO mini-build instructions and build the model using LEGO bricks you have at home. You can also download past monthly LEGO mini build kit instructions for free.